Donald Keith Bass was born in Kress, Swisher County, Texas to Elmer Orlando Bass and Zilpah Esteline Smyer-Bass on June 30, 1932. At the age of 86 years, he passed away April 10, 2019 at his home in Conroe, Montgomery County, Texas. Don was the youngest of the Bass kids who included Gladys, Lucille, E.O., Jr. and Frank. They grew up farming and attending school in the Kress area. Don played football in High School and was named All-District Guard for the 11-man Kress Kangaroos football team. Don was drafted into the U.S. Army in 1953 and spent time in Korea as a heavy equipment operator during the Korean War conflict. At the end of his enlistment, he returned to Texas and joined the Midland, Texas Fire Department in 1955. On June 09, 1957, this multi-talented craftsman married his beloved Sylvia Ann Bourke in Midland, Texas and to them was born their only child, Johnny Keith in 1960. 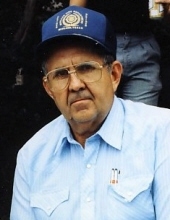 Following his retirement from the Fire Department in 1982, Don and Sylvia moved to Rochelle, Texas and built their home there amongst family and dear friends. They eventually returned to Midland for a short time before moving to Conroe in 2003 to be near their son. Don was preceded in death by Sylvia, his wife of 48 years in 2006. Others preceding him in death were his parents, sisters Gladys Bass-Goodwin (husband Norris) and Lucille Bass-Hutson (husband Windy), brothers E.O. Bass, Jr. (wife Pauline) and Frank Bass (wife Wanda); and his father and mother-in-law, Johnny and Lucile Bourke. Don is survived by his son Johnny Bass and his wife Lisa, and grandson Justin Bass. Also surviving him are brothers-in law Jack Bourke (wife Mary) and Dennis Bourke; sisters-in law Lanell Stehle (husband Murry) and Brenda Howell. Also surviving are a multitude of nephews and nieces from both the Bass and the Bourke families and longtime close friends, Jim and Margaret Draycott of Rochelle. Don will be buried next to Sylvia in the Richland Springs Cemetery, Richland Springs, Texas on a date to be determined. To honor his father’s 27 years with the Midland Fire Department, Johnny requests any memorial donations to please be made to a Firefighter’s charity of your choice. To plant a tree in memory of DONALD KEITH BASS, please visit our Tribute Store. "Email Address" would like to share the life celebration of DONALD KEITH BASS. Click on the "link" to go to share a favorite memory or leave a condolence message for the family.